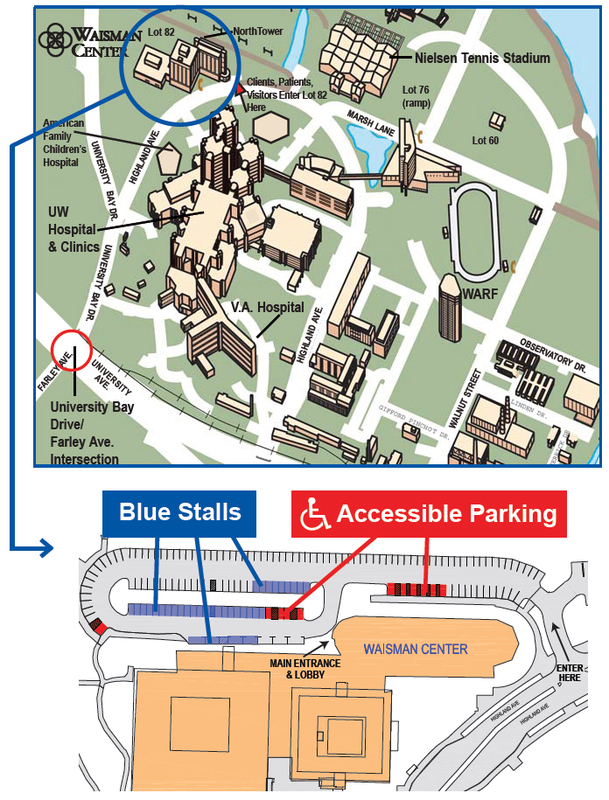 PARKING: All visitors should park in stalls outlined in blue and hang a visitor’s permit from their rear view mirror. A parking permit will either be mailed to you in advance of your visit or you can get one at the lobby desk. NOTE: A permit is required every day of the week (including weekends) between the hours of 7:00 am and 4:30 pm. Individuals parked in DOT DIS or UW DIS stalls must display a valid, state-issued disabled permit at all times.